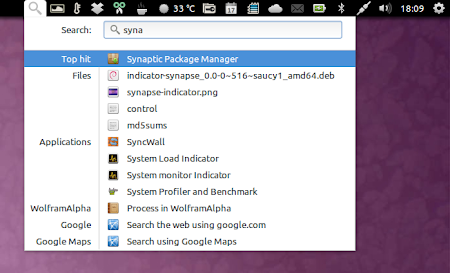 Synapse Indicator is a new, unofficial search indicator created for elementary OS. The application should also work under Unity, the Ubuntu GNOME fallback session or in Cairo Dock. Like the name suggests, this is a front-end for Synapse, a semantic launcher used to start applications and find relevant files using Zeitgeist, extensible through plugins. 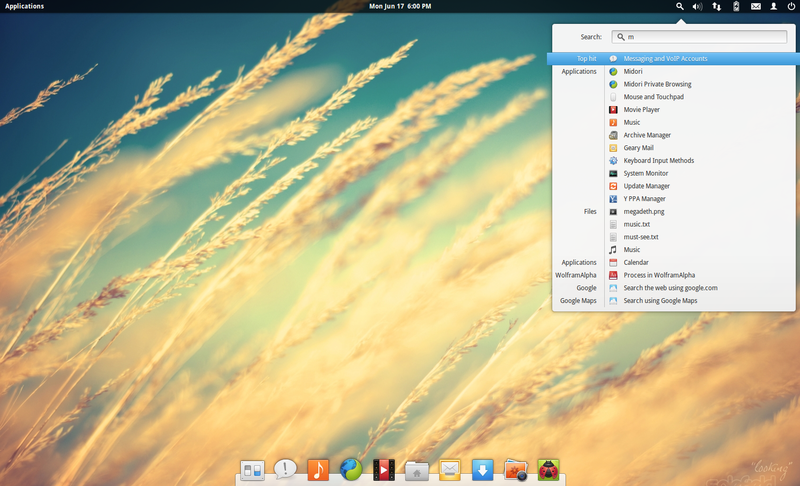 It's a great, lightweight alternative to the once very popular GNOME Do or, more or less, to Unity's Dash. While the functionality is basically the same, there are some interface differences: with Synapse Indicator, there's no need to scroll to see all the search results, unlike the original Synapse. Moreover, using the AppIndicator, the results are nicely displayed under categories, so you can quickly distinguish between applications, files and so on. Also, this is useful for those who don't want to use a keyboard shortcut to run Synapse. And of course, the AppIndicator integrates great with the elementary OS desktop, as you can see in the screenshot above. According to Tom Beckmann, the Synapse Indicator developer, it is unlikely for this to become default in elementary OS. "If at all, it'd be it's [Slinghot's] search feature", says Tom on Google+.﻿ But if you want to use it, you can easily install it via PPA. Before proceeding with the installation, please note that Synapse Indicator is in its infancy so you may encounter bugs. Since it uses the same code as Synapse, there shouldn't be any functionality issues, but the interface might have some glitches, especially if you're using Ubuntu, since this is aimed at elementary OS. For instance, in my test under Ubuntu, I've had to set the system font to 10 (default is 11) to get the "WolframAlpha" entry properly aligned in the indicator. Also, the indicator doesn't have any options for now. Update: a version that supports accessing the indicator using a keyboard shortcut (ALT+SUPER+SPACE) is now available in the PPA, however, using the keyboard shortcut hasn't worked in my test. Once installed, you need to restart the panel or log out and log back in. In Unity, you can press ALT + F2 and enter "unity". Or simply log out and log back in and the new indicator should show up on the panel. For other Linux distributions, you can get the Synapse Indicator code from BZR.